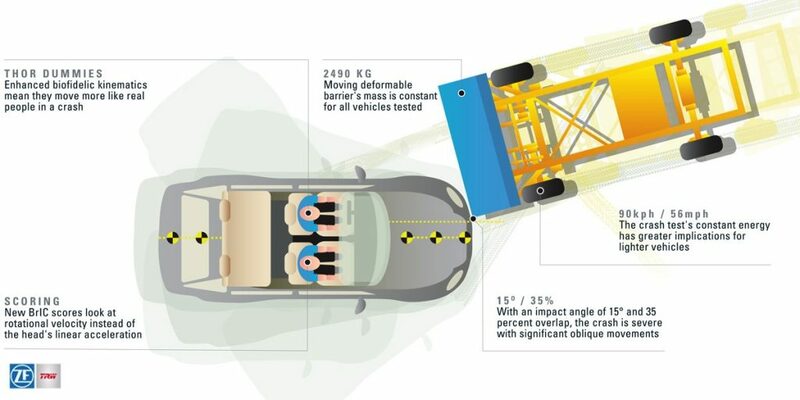 Vehicle crash safety requirements in the US are about to change. In 2018, NHTSA is planning to introduce a new oblique barrier crash test that will require automakers to look at how they could better help prevent injuries in some very challenging collision scenarios. The NHTSA oblique crash test criteria do not just introduce a more severe load case – there’s also a new crash test dummy and different key performance criteria.